I'm so happy to have such a strong supporter in Judith at the Mechanics Institute Library, Berwick. 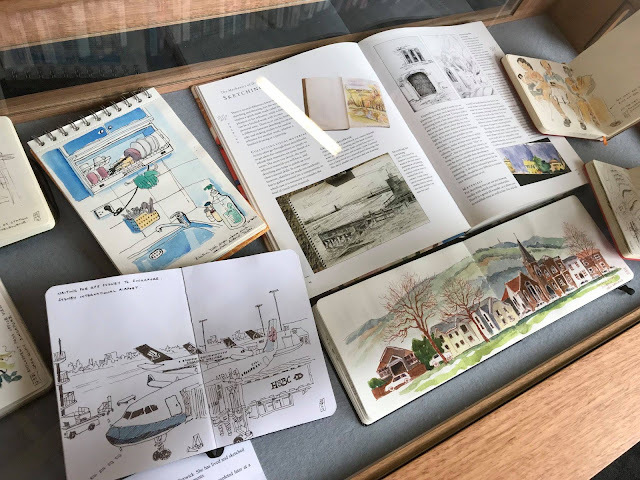 My little show "Around the World in a Sketchbook" was on display there recently. 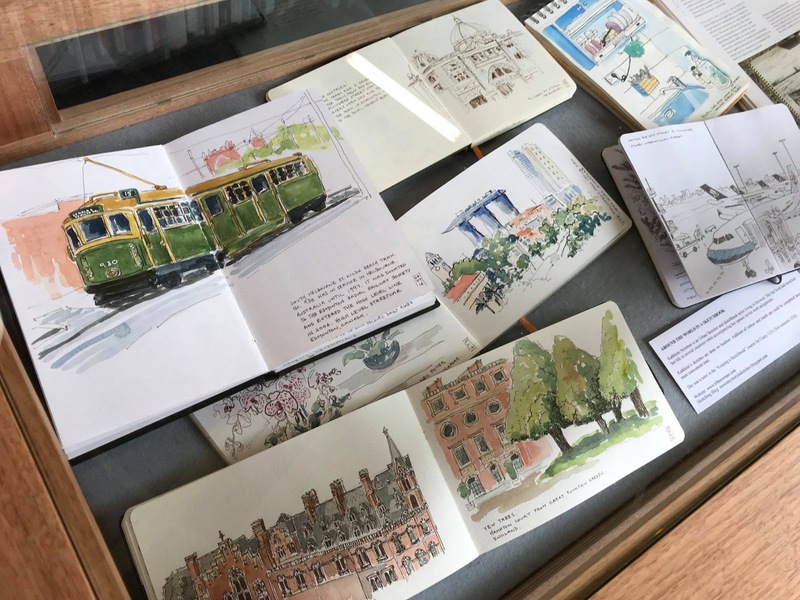 Kathleen Newman is an Urban Sketcher and sketchbook artist. She has lived and sketched her life in several countries while accompanying her spouse on his work assignments. These sketches (dating back to 2012) were done on location. Addition of colour and touch ups could be completed later at a more convenient time. 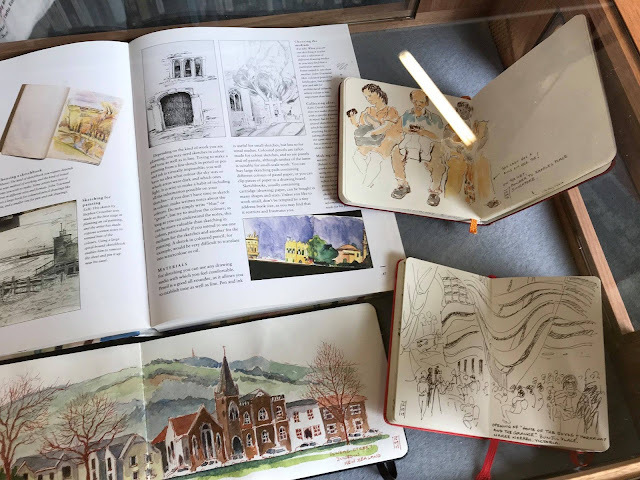 She was a tutor in the “Keeping a Sketchbook” course for Casey U3A (first semester 2018).